Club Car diamond plate will give your stock golf cart an upgraded look that will make your friends envy the appearance of your golf cart. Our Club Car DS diamond plate is available in a "shiny" lightweight aluminum finish or powder coated black stealth patina. Most if not all of our high quality lightweight diamond plate is Made in the USA. 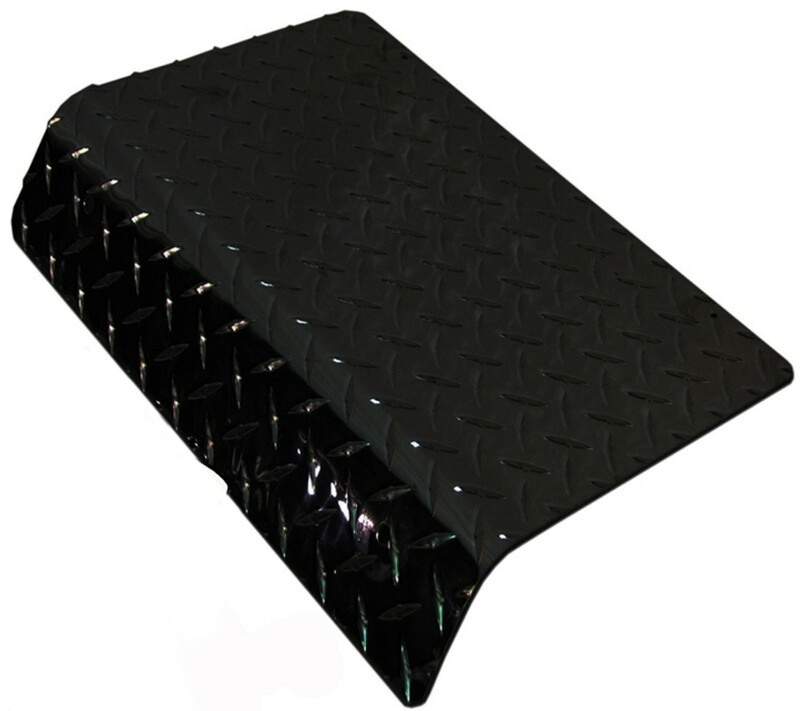 Diamond plate is a durable textured pattern that has a non slip material enabling you to get better traction and performance out of your golf cart. Club Car golf carts look custom when you install a kick panel, access panel, front bumper cover, rear bumper, floor cover, rocker panels, or a complete diamond plate accessory kit. These Made in the USA accessories are laser cut insuring they fit correct without cutting or welding.